Spacious townhouse-style 2BR, 1.5 bath, 988 sf condo. 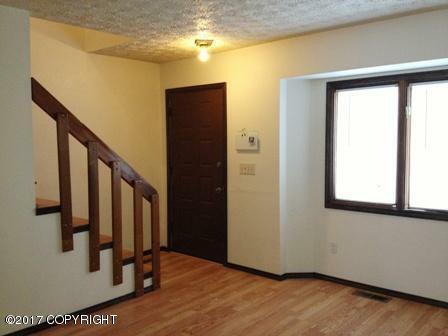 Unit has laminate flooring throughout, dining room, breakfast bar, dishwasher, washer, dryer & back yard area. One small to medium pet considered with $300 pet deposit plus $25 pet rent per month. 24 hour notice required for showings through 2/28/19.